Princess Cruises names its first brand ambassador as Phillip Schofield! Not content with launching the revolutionary Ocean Medallion, Princess Cruises has now announced the name of its first ever brand ambassador. We are very pleased to report that the ambassador in question is none other than (drum roll please)… This Morning’s Phillip Schofield! That’s right, the silver fox himself will be taking to the seas with Princess Cruises. His inaugural sailing is due to depart for the Mediterranean this spring, with Phillip being treated to a very special on-board experience. As a first-time cruiser and self-confessed wine enthusiast, he will receive a unique wine and food experience that will be captured on film. It is a fantastic way of offering potential passengers the chance to see just how spoilt they will be on-board. 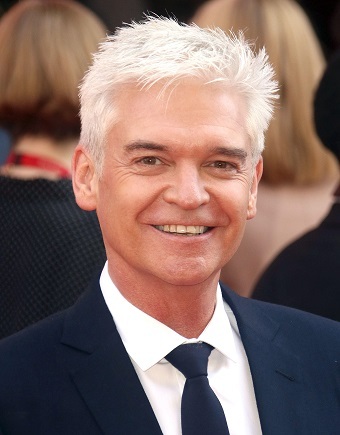 “We are thrilled that Phillip Schofield is our UK brand ambassador. We know that with him on-board, we can reach a whole new audience who may have never considered cruising as a holiday option before”. As well as his Mediterranean adventure, Phillip Schofield will sail with Princess Cruises later in the year, this time hosting on-board guest experiences. With such a huge fan base, the ship is sure to be a full house! Would you like to experience the unique service enjoyed by all those who set foot on a Princess Cruises ship? With itineraries covering everywhere from culture-packed Europe to the sparkling Indian Ocean, your adventure of a lifetime awaits. Call 0207 526 3035 to speak to a member of our Cruise Concierge, and to find out more about this exceptional cruise line. Previous StoryAdventure for less with £299pp Cruise & Maritime Voyages cruise!